In hundreds techniques to cook/ Semilabeo notabilis, a species off cyprinid in Vietnam, Chả cá is regarded the most complicated one of Hanoi because of strict requirements from the very first process to the final step in order to maintain the unique taste of this special type of fish. Amongst which, seasoning is especially important and sensitive. Although the recipe is the same with all the required ingredients, only a very little change may result in imbalance and damage the whole dish. Cha Ca Anh Vu does not only surprise you with its premium taste but also its shocking low price at around US$20 for 4 people. 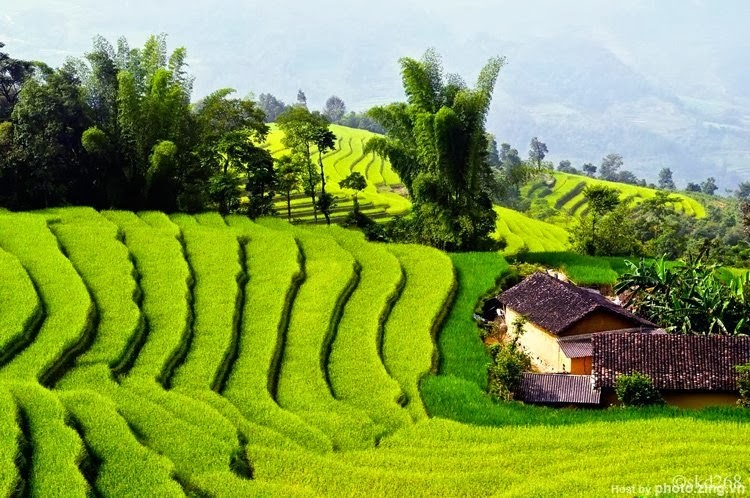 One or two glasses of red wine may make the taste of Cha Ca Anh Vu more charming. Address:116 K1 Giang Vo, Ba Dinh, Hanoi. 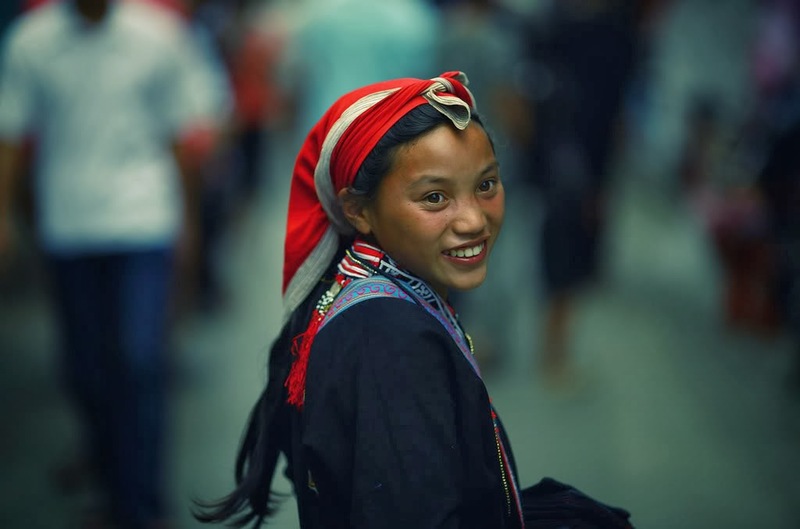 Cha Ca La Vong can be considered one of the symbols of the capital city. It was named after one street inside Hanoi Old Quarter. 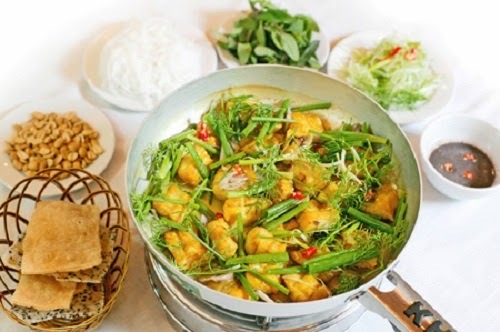 First served Hanoian gourmets since French colonial time by Đoàn family, this dish has been being one of the most favorite dishes and the pride of Hanoi citizens. 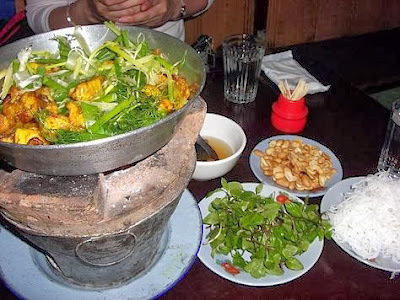 Cha Ca La Vong gives its best taste when it is still boiling in vegetable oil pan. 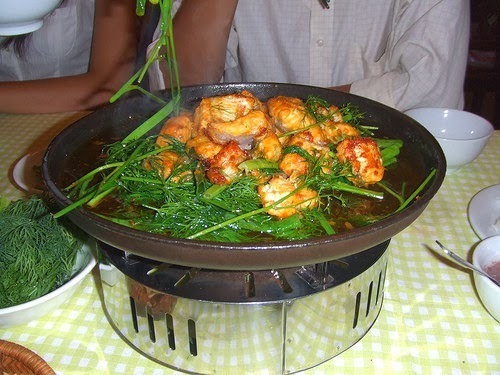 Eating this special dish requires some techniques for the best enjoyment: grasp a piece of fish and then use spoon to draw some boiling oil in the pan to pour onto it and eat with rice vermicelli, peanuts, coriander, dill, spiced fresh onion and an indispensable ingredient – mắm tôm (fish sauce). Address:14 Cha Ca Street, Hoan Kiem, Hanoi. 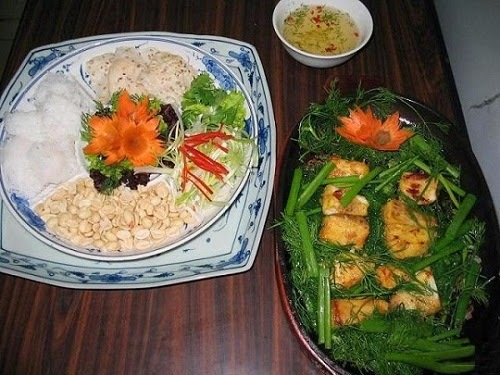 Cha Ca Kinh Ki is another standing out place which attracts a huge amount of both international and local gourmets. Every single piece of fishes is carefully filtered before being seasoned during hours then grilled on opened coal oven. Getting customers order, the attentive staffs of the restaurant would immediately bring a small stove, put a pan on then pour in vegetable oil and wait until it is hot enough. 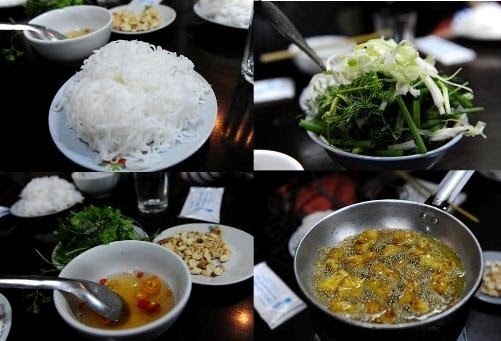 Golden pieces of grilled fish and fresh green herbal leafs such as coriander, basil, pickled onions together with tiny bowl of peanuts, a dish of rice vermicelli and foaming bowl of Mắm tôm and a few drops of aromatic Cà cuống essence would bring about a truly taste of the capital city’s cuisine. 621 Lac Long Quan, Tay Ho, Hanoi. 41 Huynh Thuc Khang, Ba Dinh, Hanoi. 172 Nguyen Son, Long Bien, Hanoi. 104 Hoa Ma, Hoan Kiem, Hanoi. Mentioning Chả cá, the best species of fish used to cook this dish is hermibagrus. However, due to the rareness and the high price of hermibagrus, snakehead fish is now the most popular ingredient to cook chả cá. However, Chả cá at Lão Ngư Restaurant is made from catfish, which is tender and greasier than snakehead fish. Recommendation for ones seeking for a more diversified meal is one or two dishes of fired fish stomach, which maybe too strange to westerners. That one reason only is worth a try and the others can be found out by your adventure mind. Address:171 Thai Ha, Dong Da, Hanoi. Cha Ca Thang Long has a special taste that cannot be expressed by words that one can only feel by tasting it. From the ingredients, raw material to soup powder, they all exclusively appear at Cha Ca Thang Long. When being asked the secret of making such delicious Cha Ca, the owner of the restaurant said that it is the love for cooking, the will to carry on a traditional food and an ambition to make Cha Ca becoming well-known to the world like Pho that create Cha Ca Thang Long.